disciplines. Download text to your handheld device. And a lot more. Each STUDENT CONSULT title comes with full text online, a unique image library, case studies, USMLE style questions, and online note-taking to enhance your learning experience. Is a well-established classic in genetics that has been regularly updated over the past 35 years. 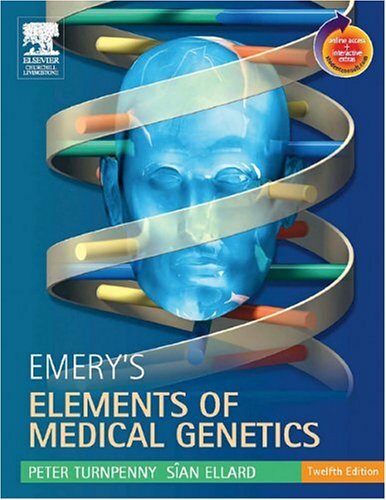 Offers a comprehensive, clinically relevant overview of the field with clear, concise text. Features Elements boxes at the end of the chapter that provide a bulleted chapter overview for the reader. Depicts rare diseases with a genetic basis in high-quality color and black-and-white photographs. Your purchase of this book entitles you to access www.studentconsult.com at no extra charge. This innovative web site offers you... Access to the complete text and illustrations of this book. Integration links to bonus content in other STUDENT CONSULT titles. Content clipping for your handheld. An interactive community center with a wealth of additional resources. The more STUDENT CONSULT titles you buy, the more resources you can access online! Look for the STUDENT CONSULT logo on your favorite Elsevier textbooks! Reflects the latest developments in genetics, including molecular genetics, DNA technology, pharmacogenetics, cancer genetics, risk calculation, the Human Genome project, and ethics. Provides clinical examples throughout the text. Presents a new section that offers advice on using the Internet for further genetic research. Features a new self-assessment section, including multiple-choice and case-based review questions.